Rumors that had been floating around the Sprint Center all day Wednesday picked up some steam late Thursday with a report that West Virginia University junior forward Sagaba Konate will be a game-time decision for the Mountaineers on Thursday when they take on Texas Tech in the Big 12 tournament quarterfinals. Mike Casazza from 247Sports is reporting that sources indicate Konate could be on the floor Thursday against the Red Raiders. 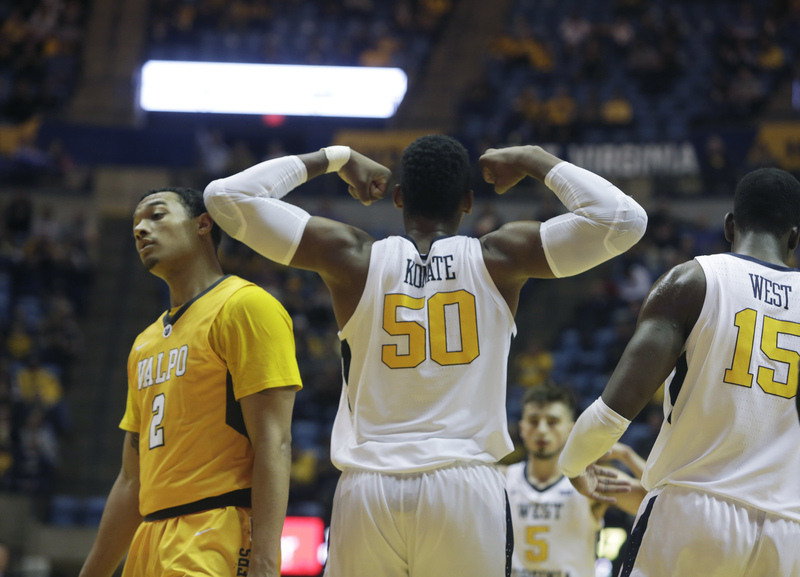 Konate has not played since West Virginia’s early December win in Morgantown against rival Pitt. Konate was limited but did participate in a team shoot around Tuesday at the Sprint Center. He did not dress but was on the bench for Wednesday’s wild win against No. 7 seed Oklahoma. I reckon we’ll know more about this as we get close to Thursday’s 7 p.m. tip-off against Texas Tech. Stay tuned. Hi gang. Checking in courtside from the Sprint Center in Kansas City. If you’re paying attention, and I know you are, you know Oklahoma State and TCU are playing tonight’s first game before WVU tangles with Oklahoma later this evening in the first round of the Big 12 tournament. The Mountaineers did their session with the media here yesterday while I was en route to Kansas City, and it was mostly the basic, day before a tournament stuff — the Mountaineers are going to play hard and aren’t scared of anybody and think nobody wants to play them right now etc. etc. 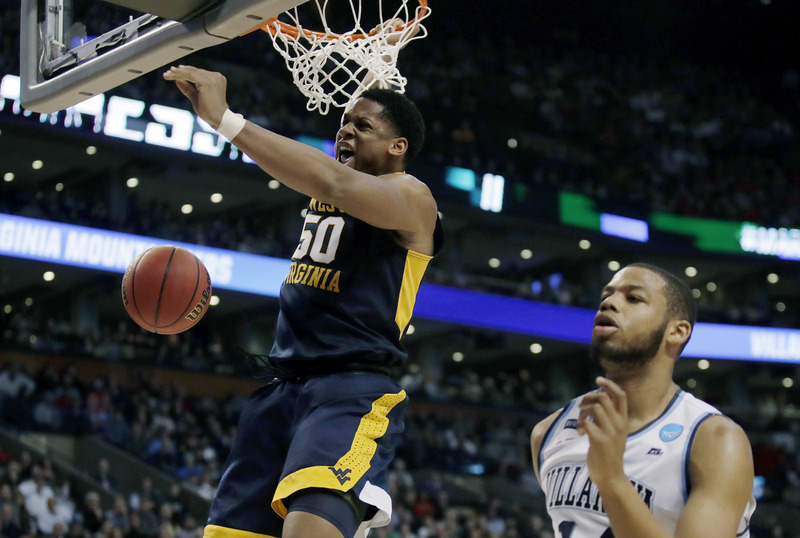 What was a little bit odd, at least this season, was the sight of Sagaba Konate participating in WVU’s shootaround. It got people talking, that’s for sure. This is not a knock or criticism in any way, just a statement of fact: Neal Brown press conferences go way longer than the ones I was around for during Dana Holgorsen’s tenure at WVU. Brown met with the media today in Morgantown to put a bow on the Mountaineers’ winter workouts and to kind of set the table for spring practice — which is right around the corner. Here is my video of today’s press conference, clocking in at just a bit more than 30 minutes. Brown touched on a lot of things, so get comfortable. Just a quick update here as we get ready for WVU’s basketball game at Oklahoma. 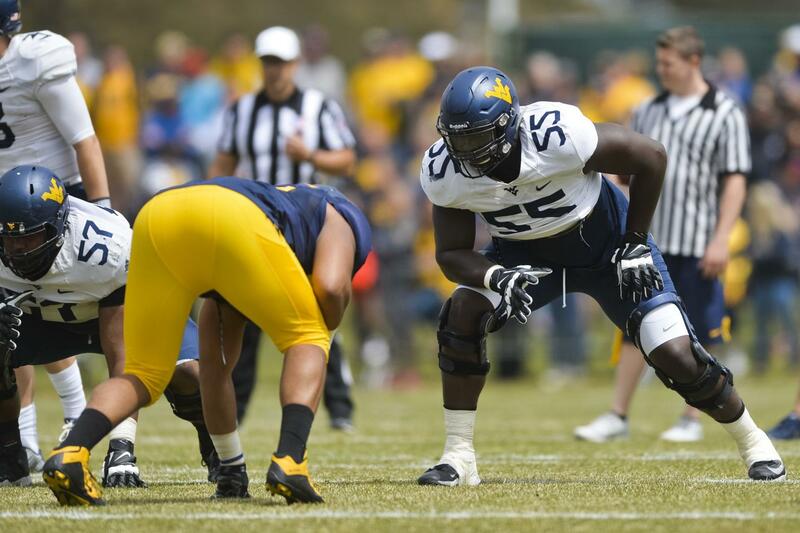 After Yodny Cajuste’s strong start to this weekend’s NFL Combine in Indianapolis, more WVU players have had the chance to show what they can do to the pro teams. 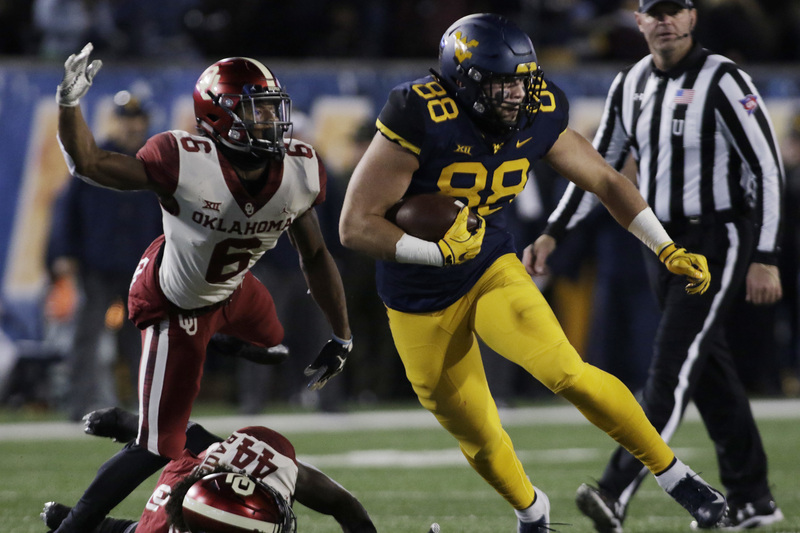 Friday saw quarterbacks, receivers and tight ends get started with the bench press and the Mountaineers in attendance did not disappoint — Trevon Wesco, a Martinsburg native and former multi-sport standout at Musselman High, did 24 reps of 225 pounds on to lead all tight ends in the event. Receivers Gary Jennings (20) and David Sills (14) also did the bench press on Friday while quarterback Will Grier skipped it. Grier did, however, run the 40-yard dash on Saturday mornimg. The Charlotte, North Carolina native ran a 4.92 and 4.84 — placing him among the top 10 for quarterbacks in the category at the Combine. As of right now, Wesco is the only one of the group do participate in other drills — he ran a 4.89 in the 40, posted a 31-inch vertical leap and went 117.0 inches in the broad jump. Check back here this evening and I’ll get y’all some updated information from what the former West Virginia players are doing at the NFL Combine.